Don’t worry, this is not yet another analysis of Pope Francis’ interview with Antonio Spadaro, S.J. which was translated by and published in America Magazine. That interview has been covered in-depth in a variety of news outlets and blogs. One of the remarkable things about the election of Pope Francis is that he is the first Jesuit elected Pope, which was a huge surprise because I never thought that a Jesuit would be elected pope. I did not know what exactly the election of a Jesuit would mean for the Church but I knew that it would be interesting, which it certainly has been during the first six months. Although nothing has changed doctrinally and Pope Francis is in many ways more traditional than his predecessor, the perception of the Church in the mainstream media is certainly different. 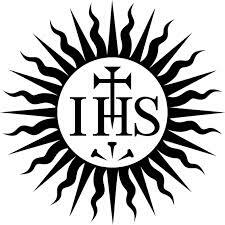 I am wondering if there are figures among the Jesuits, from the origins of the Society to the present date, that have affected him in a particular way, so I ask the pope who they are and why. He begins by mentioning Ignatius Loyola [founder of the Jesuits] and Francis Xavier, but then focuses on a figure who is not as well known to the general public: Peter Faber (1506-46), from Savoy. He was one of the first companions of St. Ignatius, in fact the first, with whom he shared a room when the two were students at the University of Paris. The third roommate was Francis Xavier. Pius IX declared Faber blessed on Sept. 5, 1872, and the cause for his canonization is still open. Michel de Certeau characterized Faber simply as “the reformed priest,” for whom interior experience, dogmatic expression and structural reform are inseparable. The pope then continues with a reflection on the true face of the founder of the Society. I previously wrote on Blessed Peter Faber, S.J. on his Feast day, August 2 and thought in light of the interview with Pope Francis it would be a great opportunity to highlight this great Jesuit. Attached here is a wonderful document on the life and spirituality of Peter Faber by Severin Leitner that was graciously provided by Claire Bangasser, of the great blog A Seat at the Table. This entry was posted in Ignatian Spirituality and tagged America Magazine, Antonio Spadaro S.J., Catholic, Ignatian, Jesuit, mystic, Peter Faber, Pope Francis. Bookmark the permalink. 6 Responses to Pope Francis and Blessed Peter Faber, S.J. Thank you for the reference to Peter Faber’s bio. It was a great read! I appreciate the reference to Ignatius being a mystic in relation to the Spiritual Exercises in Everyday Life. I was privileged to make the exercises over the period of almost a year with a very patient spiritual director and it was a transformational experience. I can understand why Pope Francis would say that he has been affected by Blessed Peter Faber because the qualities that Our Holy Father cites are evident in his way of relating with others as well. I agree with you on Pope Francis. If you look at his statements closely, they are very similar in content to Pope Benedict XVI but Pope Benedict spoke like a college professor (perhaps that is why I like him!). Pope Francis speaks much more directly, albeit without the full context that Pope Benedict does. Pope Francis’ method of communicating is better suited to cut through the clutter of the media filters. The Pope John Paul I comparison is interesting. I barely remember him but recall that there was a great amount of enthusiasm when he was elected and sadness when he died.